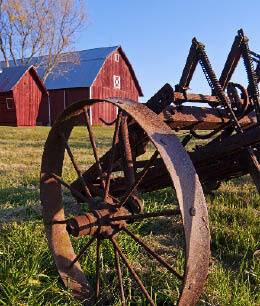 The Barns & Byways Tour has celebrated the proud agricultural heritage of Mason County, Michigan since 2008. Even though the last "official tour" was in 2011, you can still visit the back roads of Mason County and surrounding area to experience the spectacular fall colors. It's such a relaxing drive--bring your camera and a picnic lunch and make a day of it. It's an activity that's family friendly and absolutely free. 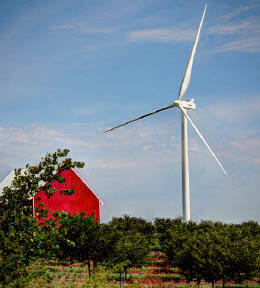 Recently, there has been quite a change to the landscape with the addition of the majestic wind turbines throughout Summit and Riverton townships. The Fall Color Tour is best enjoyed in October when the red, gold and orange leaves are at their peak. 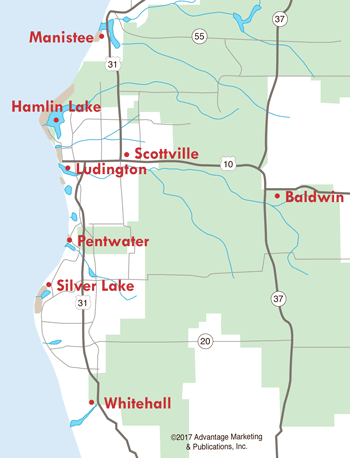 The first Barns & Byways tour, organized by the Ludington & Scottville Chamber of Commerce, was held in October 2008. The barns tour successfully welcomed over 400 people to view the historic landmarks of our beautiful country roads. Eight Mason County barns were open to the public; the barns are still in use by families whose ancestors date back nearly a century. Most of these historic barns are located on Conrad Road and in Victory Township, where visitors toured the inside and compared architecture.